Alibaba Cloud Expert Certification(ACE) is designed for users who are highly experienced in certain technical fields based in Cloud. 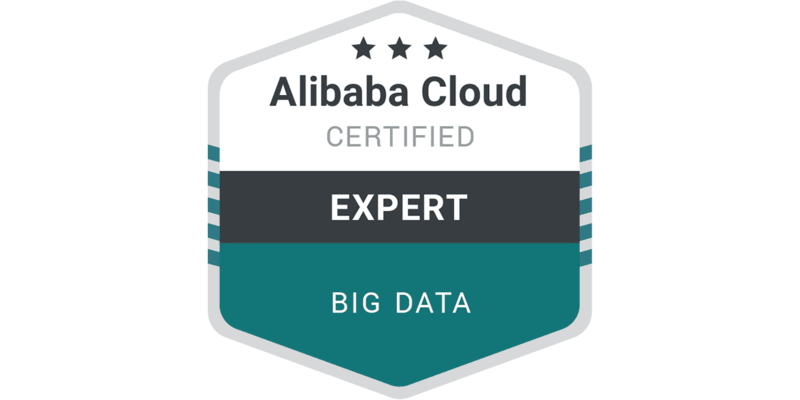 This certificate provides individuals who work with cloud-based Big Data technology roles to validate their knowledge in Alibaba Cloud. The certificate qualifies their advanced technical skills and experience on designing big data applications and systems on Alibaba Cloud. Attention: Please note if you want to take the same certification exam again, you must have at least 14 days gap between the 2 exams. Attention: Please note that this product is not refundable after purchase. Professional online video courses that cover the fundamental products in Alibaba Cloud Big Data. Learn how to load and analyze data using Alibaba Big Data platform. Quickly learn how to use quickBI to generate visual charts. Alibaba Cloud Professional Certifications validate and demonstrate your technical expertise in Cloud Computing, Big Data and Security.